Here’s a smart gambling article from WikiHow on How To Beat The Slots & a Video on your best chances of which slots to choose. Slot machines are the loudest and most colorful attractions in a casino. With their fun themes and large jackpot values, they’re designed to pull you in and drain you of your money in small increments. Though slot machines always favor the house, there are a number tricks you can use to better your chances and beat the slots. If you want the best odds when you play the slots, choose the slot machines in high-traffic, visible areas, since those machines have more frequent payouts. Always bet the maximum amount you can, and aim for the highest returns possible by using larger denominations. For the most frequent payouts, pick machines with the smallest jackpots. Keep reading for tips on managing your money and understanding the difference between reel-spinning slots and video slots! Research slot payouts. There are a number of websites that will tell you the payout percentages of slot machines at different casinos. 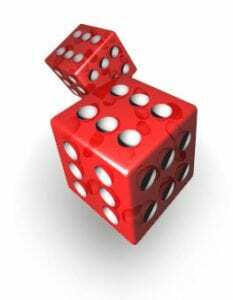 While the casinos do not make this information available to the average player, some insiders get access to this information and publish it online or in specialty magazines and newsletters. Percentages can range anywhere from 80% to 98% and spell out your best chances of success. Choose the slot machines with the highest percentage of payout to increase your odds of winning. Know your limit. Set a “lose limit” and a “double my money” amount before you enter the casino. If you’re winning, stop when you have doubled your initial amount. If you’re losing, stop when you reach your lose limit. Decide how many days you’ll make it to the casino and how long you’ll gamble during each session. Divide your total bankroll by the number of days and then divide that daily allowance by the number of hours you plan to play each day. This will tell you how much you can afford to lose per hour. For example: You arrive in Atlantic City with a $2000 bankroll and plan to stay for five days. That allows you to wager $400 per day. You decide that you want to play a total of four hours per day. This means you can afford to lose $100 per hour. Have a few back-up plans in place. You may be surprised at how quickly you can go through your bankroll by playing the slots. And with ATMs conveniently located throughout the casino floor, you may find yourself spending more than you intended on your quest to strike it rich. Bring a pre-determined cash amount with you to gamble and leave credit and debit cards at home or in your hotel room to reduce your risk of overspending. Buddy up. Make a pact with a friend that you’ll stop each other from spending more than an agreed-upon amount. Play with coins. Playing with coins rather than feeding bills into the machine will extend the time of your play. Pocket any winnings you earn. Play only with the money from your initial bankroll; that way, you won’t walk away empty-handed. Join the club. Join the slot clubs if you are playing at a land-based casino, or take advantage of bonus money offerings that online services give to their loyal customers. These offers are based on how many coins you play in the slot machines or your rate of play. Compare the benefits of different casinos or sites and choose the casino that offers the best benefits or freebies for your level of play. Some casinos even give some of these points back as cash, making your gambling dollar stretch even further. Be sure you always have your club card inserted in your slot machine before you spin. You want to get credit for every bit of your play time. Choose machines with the smallest jackpots. The bigger the jackpot the harder it is to hit, so you’re better off choosing a machine with a smaller jackpot. Double check the machine’s maximum jackpot. Two machines might look exactly the same, but one may pay out a 1,500 credit jackpot and the other 10,000 credits, so be aware of the maximum you can win on your machine. Play the highest denomination possible. Play the highest denomination slot that you can afford, as these machines pay back at a higher percentage. In other words, dollar machines pay more than quarter machines, which pay more than nickel machines, which pay more than penny slots. Play max credits. Most machines only pay bonuses and progressive jackpots when the maximum credits are bet. Even on non-progressive machines, the jackpot payout for the maximum credit bet is typically markedly higher than on any other level. Since you can’t win a progressive jackpot if you don’t bet the maximum, it makes sense to spend your money wisely. Most casinos have several banks of progressive machines, each with different payout percentages and jackpot amounts. Always choose the combination of highest payout percentage and biggest jackpot amount. Bet the maximum amounts if you choose to play progressive slots. You cannot win the jackpot if you don’t. Look around the casino for the biggest payout in your betting range. There are oftentimes several banks of progressive machines, each with different payout percentages and jackpot amounts. Always choose the combination of highest payout percentage and biggest jackpot amount. Play in a premium location. 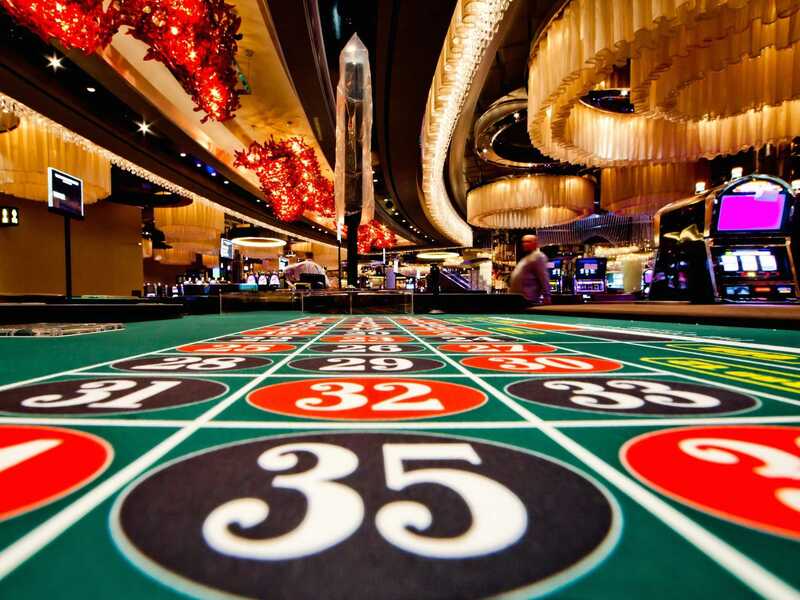 Machines that pay out more frequently (known as “loose” machines) are typically located in high visibility areas to attract maximum attention when players win and entice others to play. Play to suit your style. Some people believe the odds are better on the simpler machines with a single payout line. Others gravitate toward machines with bonus features, such as free spins, bonus rounds or extra features for the right combination on a payout line. Remember that luck plays a major role in your slot success, so while your strategy is to win, you want to have fun while you play. Pick a reel-spinning slot or a video slot. A reel-spinning slot machine typically features three or five reels or cylinders on which there are imprinted symbols as well as spaces left blank. There are 22 symbols/blanks or “stops” on each reel. Matching these symbols in certain combinations lead to a winning payout. Video slots may have up to seven reels, each representing three rows of five symbols. Video slots have 32 to hundreds of virtual stops on their reels. The symbols on a reel-spinning slot machine include brightly colored images of fruits such as lemons and cherries, numerals or shapes such as diamonds, hearts and bells. Video slot machines may use some of these traditional images but are likely to feature characters or symbols from popular TV shows, cartoons or movies or images of popular actors, singers or sports figures. Some players like the reel-spinning slots with the pull handle because of their retro feel, but they can be difficult to find as more casinos modernize their slot selection. Despite the difference in style, there is no difference in the payout between reel-spinning and video machines of the same denomination. Both are controlled by a program called a random number generator (RNG) that determines the outcome of each spin and makes it impossible to determine the outcome of future spins. Choose a machine with a fixed or a progressive jackpot. There are two main categories for progressive slots machines: “top payout” and “progressive”. With top payouts, that’s how much you could stand to win for “regular” best machine combinations. Some slot machines are known as “flat-top” machines; they have a fixed, maximum payout. Progressive machines feature a meter that indicates a jackpot that gets progressively higher. These machines are linked together and the amount of the jackpot is determined by how much they’re being used. The more people play them, the higher the jackpot amount. Among flat-top machines, the overall odds are generally similar no matter how high the jackpot is. Sometimes a bank of progressive machines in a single casino are linked together. In other cases, the machines are linked throughout the entire state, which explains why they feature such a high jackpot amount. Because of the number of people all vying for that jackpot, your odds of winning at a progressive machines are lower. That goes not only for the jackpot amount, but the odds of winning smaller amounts are lower as well. Place your bet. To play a slot machine, you must first insert bills or coins. When you insert your money, the equivalent amount of credits is displayed. Your next move depends on the type of machine you’ve chosen. On reel-spinning slots, push a button marked “play one credit” until you’ve reached the number of coins you wish to play. Then hit the “spin reels” button or pull the handle. If you want to bet big, you can hit a button marked “play max credits,” which will play the maximum coins allowed on that machine. On video slots, you must push two buttons to complete your bet. First, push one button for the number of paylines you want to activate and then push a second button to chose how many credits you want to bet per line. Video slots generally have five reels spinning on the screen. Pick your paylines. Your payout is determined by a winning combination of symbols that appear on what’s called the payline. On classic reel spin machines, only one payline is displayed on the face of the machine, but video machines offer more paylines. 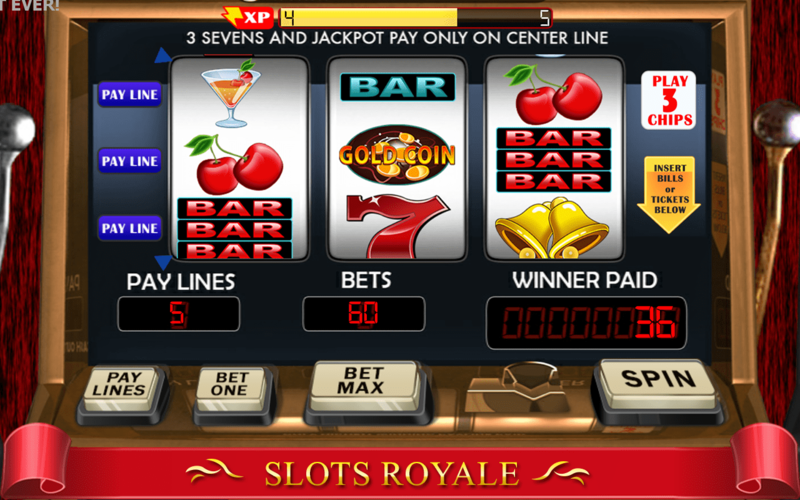 Modern multi-line slots may offer 9, 15, 25, 50 and even more paylines. Paylines can be represented horizontally, vertically, diagonally and even in zigzags. Look closely to see what lines you have bet and check carefully as it can be difficult to tell if you have a winning payline. Familiarize yourself with the rules for the machine before you sit down. If you don’t understand them, ask an attendant or call customer service if you are playing online. You need to understand what combinations will win you money, especially the jackpot. By combining the best of a modern fleet with old-fashioned service you are sure to enjoy the Choice of Transportation that LI Casino Transportation provides in NY. Our Affordable Rental Rates and Discounted Casino Trips Allows our Customers More Gambling Dollars towards BIG Jackpots. For Cheap Limousine & Party Bus Ground Transportation to your Favorite Casino Call (516)-546-6737 or (888)-638-7654 any time. LUCK IS WHAT HAPPENS WHEN PREPARATION MEETS OPPORTUNITY ! Copyright © | Design & Hosting by TeleSites.net - Set Your Sites Here!